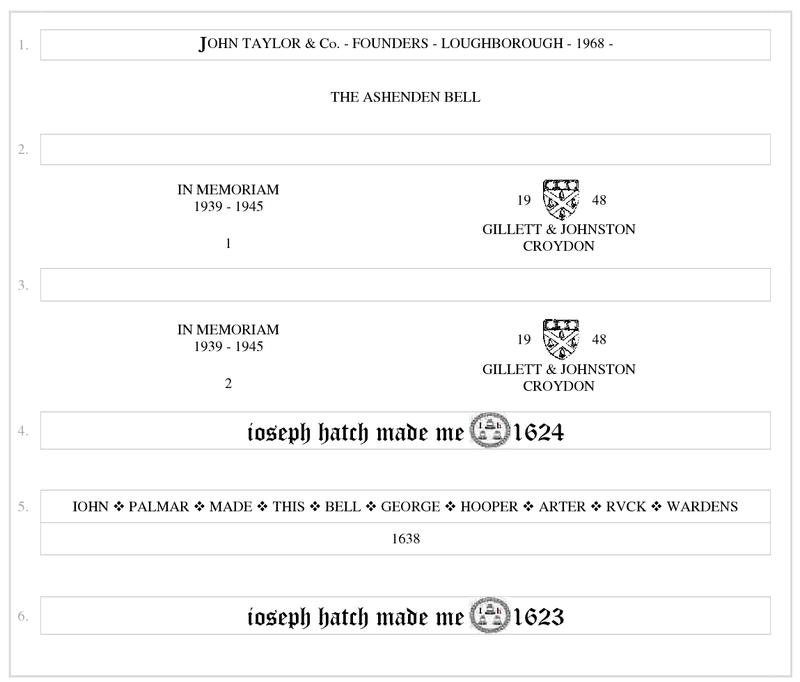 1623 Bell cast/recast by Joseph Hatch (forming tenor of 3). 1624 Bell cast/recast by Joseph Hatch (forming treble of 3). 1638 Bells cast/recast by John Palmer (forming the middle bell). 1929 Bells rehung in a new teak frame for 5 bells by Gillett & Johnston. 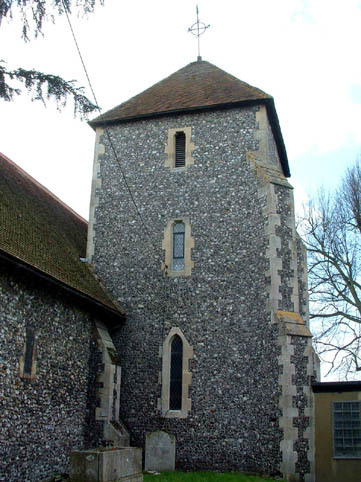 The bells were not however tuned and remained as a Minor 3 as the Incumbant would not allow them to leave the church (in case they were stolen or inadvertently recast). 1948 Two treble bells were added as a War Memorial to make 5 by Gillett & Johnston. 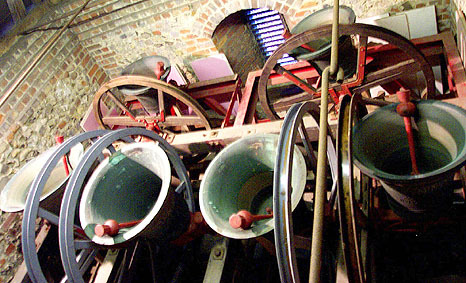 Again, the other bells were not tuned for the same reason, so became a Minor 5 in C Minor (tenor 6¼ cwt). 1968 A treble bell was added to make 6 by John Taylor, hung in an additional iron and steel frame. 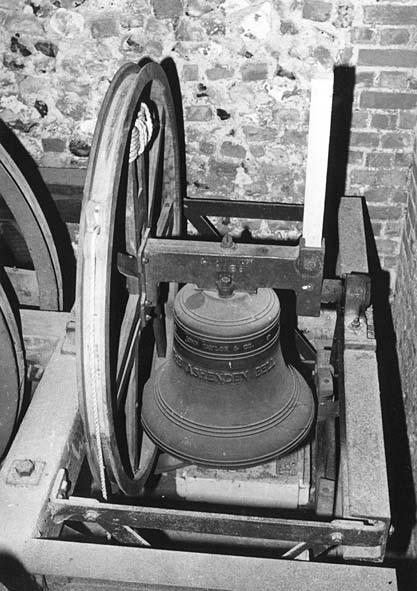 The same Incumbent was there, so still no tuning took place - the bells became a Minor 6 in C. The bell was hung by Taylor's. 1981 A canon broke on the tenor so the back bells were rehung on new headstocks and tuned at the same time (by John Taylor) to form a Major 6. This involved some fairly heavy cutting to the 3rd, but being a Gillett bell, it was thick enough to take it. 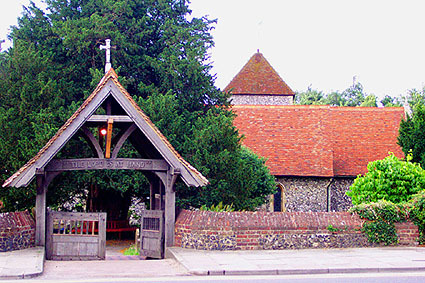 The bells were dedicated on 17th March. 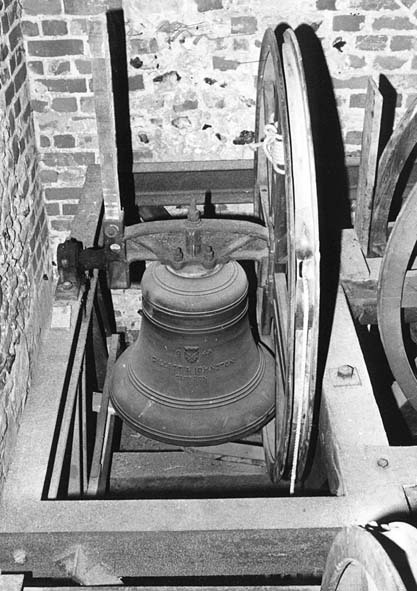 2002 The 4th bell was reported to be oddstruck and inspection showed it to be hanging crooked on its headstock (presumably since 1981). Attempts were made to correct this. The local band removed and refitted the clappers after rebushing. A view of the belfry: the trebles are at the back. A treble to make five in 1948. A treble to make six in 1968. 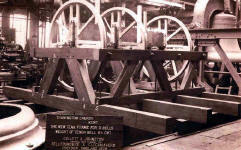 The 3 bell frame erected at Gillett & Johnston's works in Croydon.